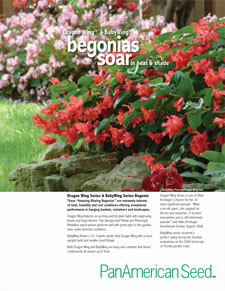 Supplied as pelleted seed, Dragon Wing Begonia grows lush and vigorous in the heat and under cool, stressful conditions. 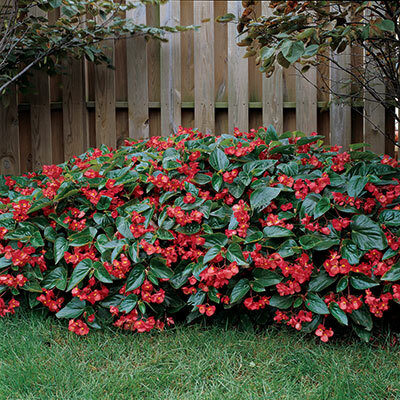 It has a plug crop time of 7 to 8 weeks and transplant to finish time of 7 to 9 weeks. 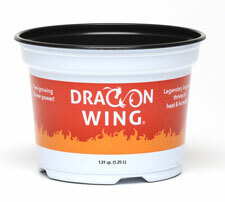 Contact your preferred plastics supplier for a variety of packaging options to fit your program needs.